Gotoco provides university students from all over the world with the chance to volunteer at summer camps across China and earn their TEFL (Teaching English as a Foreign Language) certificate free of charge. Participants dive deep into Chinese culture in twenty locations across China while learning Mandarin, teaching English and having a fun, rewarding summer in China. Those based in the USA should contact Richard, richard.lloyd@go-to.co. Those based in the UK and all other regions should contact Danny, daniel.parrott@go-to.co. The gotoco team aims to help as many university students as possible go to China, as cheaply as possible. At gotoco we believe in providing university students with the opportunity to explore China on the cheap and see the country with the world’s largest population for themselves. Everyone on the gotoco team believes there are not enough opportunities to learn about China in the West. 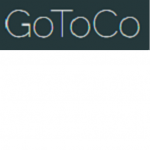 That is where gotoco comes in. We introduce university students from all over the world to China and Chinese culture in a fun, dynamic environment. Our camps focus on fun, interactive cultural exchange. You will teach Chinese school children English, while also learning about Chinese culture through Mandarin lessons, calligraphy classes, dumpling making and local excursions, among many other engaging activities. Your work at the camps will earn you our in-house TEFL certificate. Taking part is absolutely free of charge. We do not charge you and even provide you with accommodation and meals at your camps. You’ll just need to buy your flights, visa and transport within China. We’re based in both urban and rural locations. Get lost in beautiful scenery in Yangshuo, Guangxi or jump into the hustle and bustle of Beijing, Chongqing and Shanghai. Whatever you’re interested in, we’ve got the place for you. We run camps in over ten locations throughout China, offering a mixture of culture, history and adventure.